Apple is seriously thinking of changing the gaming space. They’ve been trying to attract attention and make Nintendo, Sony, and Microsoft curious about their plans for ages. Everybody’s wondering what will Apple build next? The mere idea of creating something in the gaming area is scaring competitors. What if they make something revolutionary and steal the show? Rumor has it that Apple is seriously thinking of making a TV. While the idea seems reasonable enough, Michael Pachter, gaming business analyst, says it’s pure speculation. They haven’t made any announcements yet. Surprisingly, if Apple will indeed come up with a TV, it shouldn’t surprise anyone. They do have ideas and they’re constantly trying to come up with astounding devices. Another analyst, Gene Munster, recently mentioned that Apple is thinking about making a TV and that the starting price will be somewhere around $1,000. People are still not convinced that Apple’s next big thing will be the Apple TV device, yet some experts have emphasized that this could be a strategy to enter the gaming market. There’s definitely a possibility for Apple to come up with a TV set just to make its way into the gaming space and completely change the way people play traditional games. Will Apple succeed in changing the gaming market? Apple doesn’t seem to understand the gaming market, or at least that’s what they want us to believe. Although they haven’t officially declared that they will launch a television set, Steve Jobs mentioned in an interview that he wanted to create an integrated TV that one could easily sync to other devices through iCloud. He continued and highlighted that the TV would have the simplest and easiest to use interface. Apple is an extremely tactical company, and we’re convinced that they won’t launch a TV without building a console as well. Did you actually think that the company will allow its competitors to use their consoles on the Apple TV? Not in a million years. On the other hand, we don’t think Sony and Microsoft are worried that Apple will build something better in the gaming niche. Yet, they’re well aware that at some point, something will happen. They’ve been waiting 11 years for a new player to conquer the console space, and Apple has genuine chances of being that new player. There’s no other tech company in the world with more money, time and energy than Apple to develop a next generation gaming console. Believe it or not, Apple’s purpose in the high tech industry goes beyond consoles and TVs. They’re in the business of making smart homes, and thus help customers connect one device to their appliances. They do want to own the entertainment business and eventually build a TV screen, but they want to do it the smart way – by completing the circle of desktop PCs, handheld iPhones, portable in-house TVs and iPads. 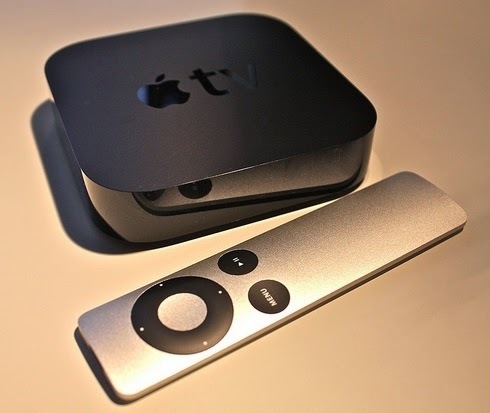 Speculation on the Apple TV is rather normal, especially since they could easily develop a device with in-app features, economic viewing modes and easy to use user interface. If Apple’s TV will be released in the near future, it will most likely feature a pioneering interface using a mix of Kinect-like manipulation, Siri voice control, and iPhone/iPad integration. It will certainly be an expensive, classy, and groundbreaking device for elite buyers. Apple knows that competing with big names in the gaming industry is risky. It just can’t beat Steam and other companies like Activision and EA. However, that doesn’t mean they won’t give it a try. We’ll just have to wait what happens next.